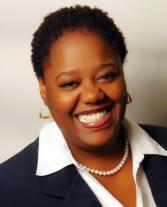 (March 21, 2014) Come meet your Charlotte City Council district representative LaWana Mayfield and learn about Charlotte city services at the District 3 Town Hall Meeting. You can RSVP by calling the City Manager's office at 704-336-2180 or emailing Kimberly Oliver at koliver@charlottenc.gov. Charlotte City Council District 3 includes all parts of Steele Creek that are within the Charlotte corporate limits. However, Council Member Mayfield can also assist residents in unincorporated areas of Steele Creek with concerns about services provided by Charlotte agencies. Click on the map above to see a larger map as well as maps of other election districts in Steele Creek.